Road and Track first opened back in May 1980. Still at its original address 11 Tynwald Street Douglas, although it moved to another building for a year in order to rebuild the shop, making it bigger and better with two floors. It is now the biggest and probably the best motorcycle shop on the Island and for the past few years it has been the Islands sole Yamaha Dealer. Apart from its wide range of new and second hand bikes and wide range of accessories it also has a large clothing department for both road and off-road motorcyclists. In recent years Road and Track has also been the Yamaha sole agent for ATV’s. Road and Track is also the Island KTM dealer, KTM is getting bigger and bigger and it’s a European manufacturer as KTM’s are built in Austria. KTM is now Europe’s largest motorcycle manufacturer. 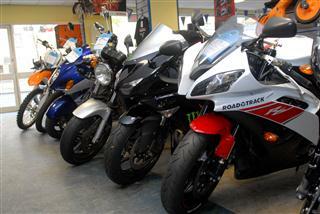 It dominates the enduro and MX world and has a wide range of road machines. 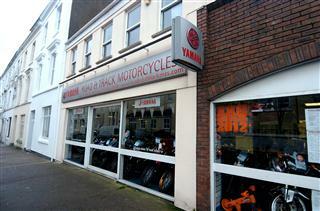 The shop also sells a wide range of Trials bikes, these are Sherco and Beta. We feel that these manufacturers offer the best spares back-up and reliability in the Trials world. Allan and Sean the directors of Road and Track Motorcycles continue to run the shop as they have done for over 35 years.